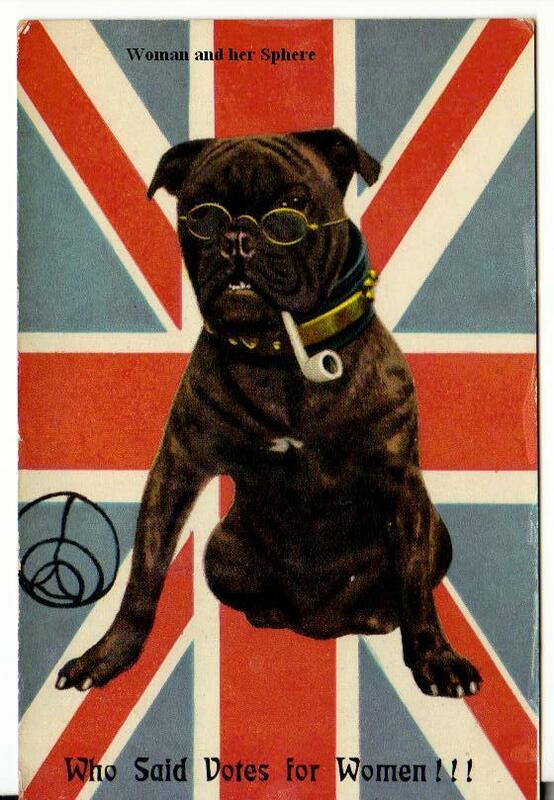 Very British Bulldog – with specs and a pipe – sits foursquare against a background of the Union Jack. It doesn’t look as though he would be interested in allowing women to vote. The handwritten message on the reverse – from Will – begins ‘Dear Alf, I think the back of this card describers the question of the age.’ Good – posted from Cowes to Rotherhithe in February 1909. This entry was posted on August 3, 2012, 2:24 pm and is filed under Collecting Suffrage. You can follow any responses to this entry through RSS 2.0. You can leave a response, or trackback from your own site.